We have the easiest recognition programs available today; let us explain how it works. You pay one price upfront for the entire program. No additional billing, so you know the exact cost of the program prior to the inception. 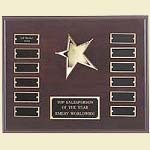 Your engraved plates for your recognition wall plaque arrive in the mail 3-4 days after your let us know who your winner is. 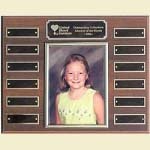 No more taking your plaque to be engraved. 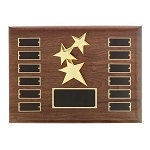 We keep your job information on file so each and every award is perfectly engraved and replicates all other award winners plaques. 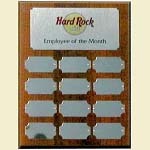 We can even remind you to pick a winner for your award. 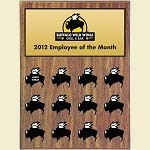 Monthly tips via our newsletter and on our web site to reward and recognize your employees. The following are several programs to choose from. Please remember we are CUSTOM MANUFACTUER, we can custom design and build a program to fit your needs and budget. If you do not see what you are looking for please call and we will be happy to work with you to develop a recognition program especially for you. 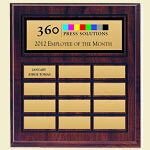 Plaques are available in program form or individually. Billing programs are available for approved applicants.